Aside the common identifiable picture of an idyllic and romanticized Africa that basically consists of sunsets, wildlife, safari, etc., there is a lot more to the vast continent of Africa than many realise. Jumia Travel shares 4 ways Africa has actually helped to shape today’s world. 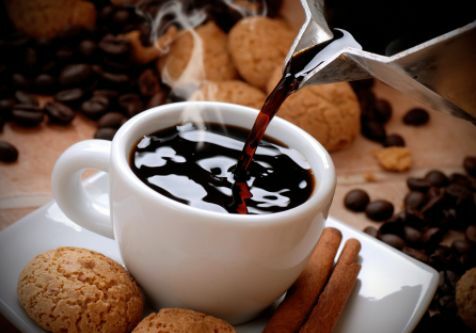 Coffee Coffee, a popular stimulant, is a brewed drink from roasted coffee beans (which are the seeds of the berries from the coffee plant) that originates from Ethiopia, where it is largely sourced. The discovery of coffee in Ethiopia possibly dates back to the 10th century, and the plant is generally known to have been exported from Africa to Arabia and then to other countries around the world. Coffee plants are now cultivated in over 70 countries, primarily in the equatorial regions of the Americas, Southeast Asia, India and Africa. Unfortunately, Africa’s role in inspiring the work of celebrated European artists like Picasso, Matisse or Kirchner has largely gone unnoticed over the years. Additionally, in the early 1900s, the aesthetics of traditional African sculpture was described by the Met Museum in New York as a ‘powerful influence among European artists who formed an avant-garde in the development of modern art’. Mobile Phones Africa, more specifically the Democratic Republic of Congo, is responsible for the bulk of the world’s supply of mineral cobalt, which is used to make the rechargeable batteries used in mobile phones. According to the Extractive Industries Transparency Initiative, not only does the DRC hold almost half of the world’s cobalt reserves, it is also among the world’s largest producers of cobalt, copper, diamonds, tantalum and tin. Transplants After performing the first heart transplant surgery in 1967, South African surgeons accomplished another first in the area of transplant surgeries, by carrying out the world’s first transplant of the male organ in December 2014. It was a nine-hour operation done on a 21-year old recipient that allowed him to become sexually active. The recipient of course wasted no time in proving the efficacy of the procedure and in 2015, the head surgeon, Andre van der Merwe, announced that the recipient’s partner was pregnant.